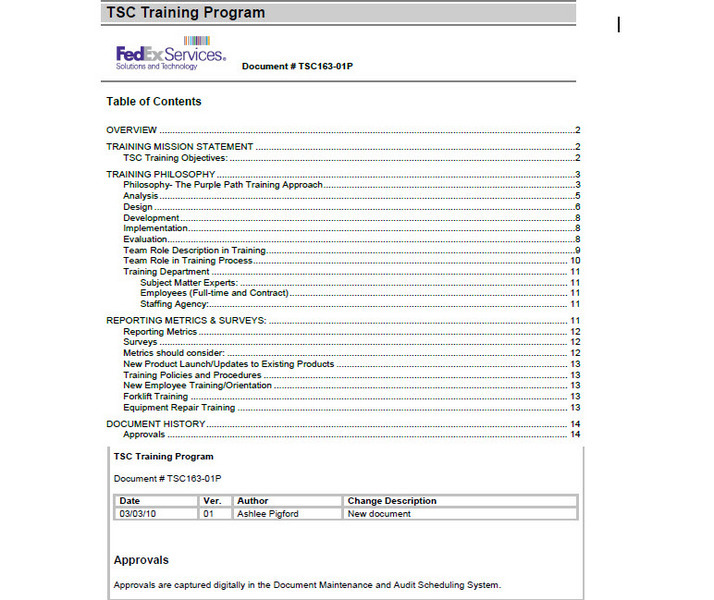 •Technical Analyst and Instructional Designer for the "Purple Path Training Program" at FedEx Services Technical Service Center (TSC)•Designed training strategy and extensive training project study for the FedEx TSC: including course development, content, assessment, needs analysis, task analysis, evaluation material, surveys, and learning goals and objectives.•Worked with subject matter experts to write new technical documentation and keep existing documentation updated.•Development of new Training and Technical Documentation aligning with FedEx strategic operating plans (SOP). 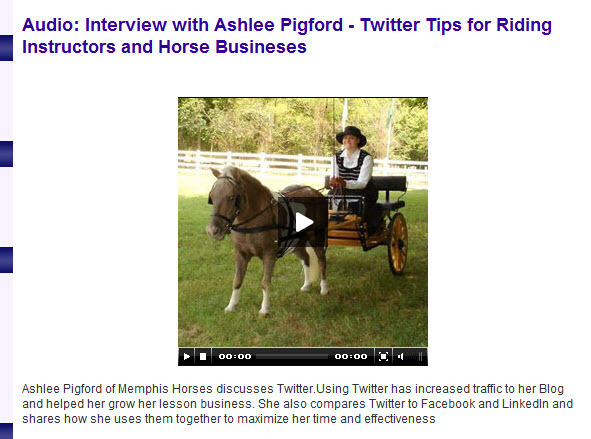 I am the Founder, Developer, and Administrator of Memphis Horses- An Equine Advocacy Networking Project, which started out as a blog, and now has turned into a mission to provide a networking platform for both local Memphis Horse owners and equine enthusiasts from all over the nation to collaborate on issues pertaining to equine welfare. The goal is to help both horses and people by providing information, awareness, education, and at times assistance in a collaborative and positive manner about responsible horse management in order to promote growth in the equine industry. 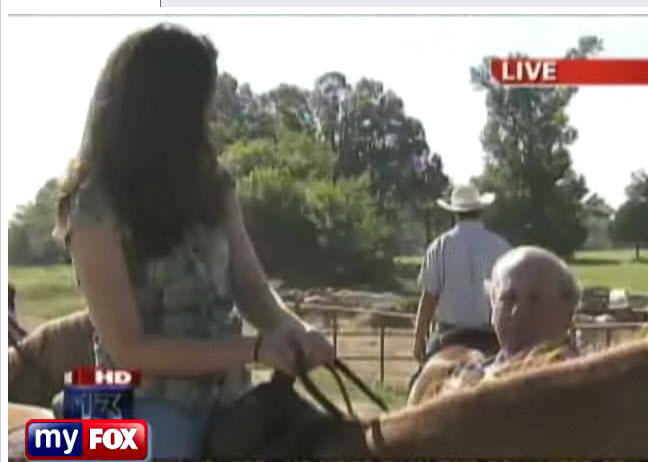 This network has already assisted in the rescue of several horses locally, and has provided both advice and a sounding board for locals having questions about all things horses. Provides analysis, development, implementation, and evaluation of new hire, refresher, and new process/procedure training for customer service, pharmacy, and dispensing operations staff. Supplies training to all levels of operations staff on systems, processes, orientation, performance management, and other skill and knowledge building programs. Collaborates with other Medco and Accredo Training Specialists on methods and materials. Assists with the development of core trainings, remedial programs, job aids, and training material. Identifies opportunities for process improvement and provides related reports and recommendations. •Managed the Technology Department operations, staff, help-desk support services, special projects, and all aspects of training-analysis, design, development, implementation and evaluation- for real to over 5500 REALTOR® members.•Created the "MAAR Technology Education Program," consisting of development and training of both written and online training materials for over twenty technology classes, seminars, and events. Online Tutorial Portfolio available at http://www.maar.org/tutorialsMaintained MAAR website.•Technical Writer for documentation associated with Technology Education Program and MLS system.•Creator and Host of the MAAR "MLXpert" Real Estate Technology and Social Media Mentor Group and series of courses approved by the Tennessee Real Estate Commission for Continuing Education Credit.•Developed the Technology Realtors Need to Know Series: A series of courses intended to increase REALTORS® technology proficiency. Developed the documentation, classes, supporting tutorials, and presentations for the series. Each course was approved by the Tennessee Real Estate Commission for Continuing Education Credit. •Assisted with the installation, maintenance, upgrades and end user interface of Multiple Listing Service (MLS), a real estate centric ERP-like relational Microsoft SQL database, having over 20 add-on modules including an LMS component accessed regularly by 5500 REALTORS® •Instrumental in the Project Management process of converting membership to new MLS system: over a two-year project.•Cultivated relationships with vendors and subject matter experts working directly with over 65 third parties accessing MLS listing data and images resulting in over 2000 REALTOR® Web sites enabled with listing search capabilities creating earning potential for REALTORS® and potential data access revenue for the association. •Participated in vendor selection for MLS, tax/public records, lockboxes, and association management.•Worked with a third-party development team and subject matter experts to manage the daily maintenance of a local property tax database and to envision and implement future enhancements to the program.•Managed the computer training lab and assisted the Information Systems Director in maintenance of computer systems and network for staff of 20 employees and membership. •Served as staff support for technology committees. •Hosted and organized various real estate technology events and seminars, and online webinars, such as the annual "Cool Tools Technology Expo" to help members increase awareness about the useful benefits of technology in daily business.•Created the "MAAR Technology Website Services Program" providing website services to members and additional revenue streams for the association. Special Education Teacher for sixth and seventh grade students. • Taught math, reading, writing, computer and life skill lessons.• Developed and maintained Individualized Education Plans (IEP's) for eighteen students throughout the school term. • Taught youth educational programs. • Responsibilities included: conducting educational outreach presentations at local Memphis area schools, assisting with teacher workshops, writing lesson plans, creating pamphlets and brochures, training and interviewing instructors, scheduling programs, planning activities, maintaining customer and staff records, conducting supply inventory, purchasing supplies, general office and clerical duties, and customer service duties. Successful departmental, program, event, project, and staff Manager. Proven project management experience developing, implementing, and managing detailed project plans and timelines responsible for providing quality assurance of software and training materials. Excellent and well-rounded writer who excels at creative, editorial, and technical writing. •10 years of training/ instructional design experience in the education, real estate, and technology fields. •Skilled at developing classroom and web-based training content and needs assessments including technical/troubleshooting manuals, releases, basic surveys, training evaluations, technical writing, course development, instructional design, and resource coordination. Software Knowledge: Microsoft Windows 95-Vista; Microsoft Office 95-2007; Adobe Acrobat; Adobe Photoshop; Adobe Dreamweaver; Flash, Adobe Captivate; Adobe e-Learning Suite; Adobe PageMaker; Fireworks, HTML; Inter-Tel Remote Support Software; PC Anywhere; Microsoft Server NT-2003; Microsoft Exchange 2003-07; Moodle; ARC serve Backup; Linktivity; LMS; Go to Meeting; WebEx; Wiki; Symantec Corporate AV; Snag-It; Spybot Search & Destroy; CCleaner. Hardware Knowledge Linksys WRT54GL & WRT54GR; Dell Latitude, Inspiron, Optiplex and Dimension systems; ATI dual display cards, SMART Podium ID422w, SMART Board 600i interactive whiteboard system. I am an experienced, innovative, and talented Manager, Marketing Strategist, Training/Instructional Designer, and Professional Writer and Blogger. I have outstanding creative, technical, and communication skills along with proven management success converting my professional expertise into noticeable “value” for organizations, trainees, and projects.I am passionate about all things "Learning" and sharing this passion with my clients! *10+ years of training experience in the education, real estate, and technology fields.